Posted by bsciencecenter in Uncategorized. At the Burlington Science Center, we offer a variety of hands-on materials, programs, workshops, exhibits, and resources to aide in teaching Science to 90 elementary classrooms and over 2,000 students in the town of Burlington, MA. Our program is a way of bringing the “museum” way of teaching and thinking into a public school setting. We also offer experiences that are difficult for a normal classroom teacher. Chick hatching is one example where we collaborate with the classroom teacher to bring science to life in front of their students. Chick Hatching can be a wonderful experience. However, there are many pieces to the chick hatching puzzle. It takes time and effort to hatch living things in the classroom and there are several things to consider before moving forward with such a project. You must have proper directions, supplies, care methods, and safety/health information before hatching live chickens (or any animals) in the classroom. 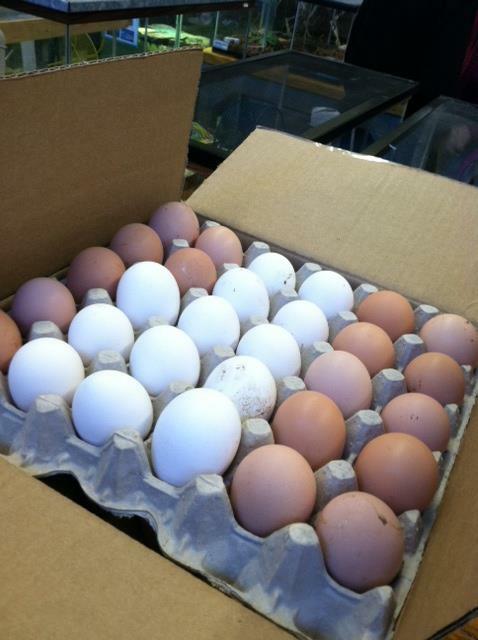 You must also have a farmer who can supply the eggs and take the chickens after they have hatched. 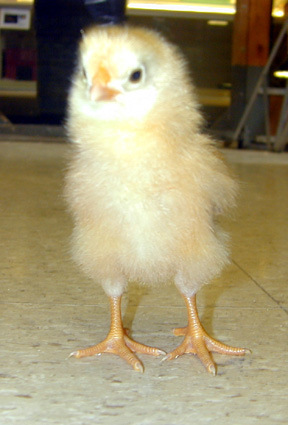 I have developed an information packet called “Recommendations for Chick Hatching in the Classroom.” This packet has important questions to ask yourself before deciding to do this in your classroom. You are welcome to contact us if interested in this information. The overall purpose of the classroom chick hatching program is to help students learn more about the life cycle and behavior of a chicken, while observing live hatching in the classroom. The students will have experiences with live animals, and they will have opportunities to care for the animals for one week after they hatch. 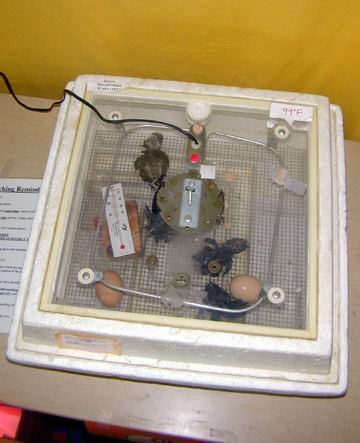 In Burlington, classroom teachers are given relevant information regarding all steps to the hatching process while the Science Center manages the project through the entire hatch. The eggs are grown in a master incubator at the Science Center for 18 days. 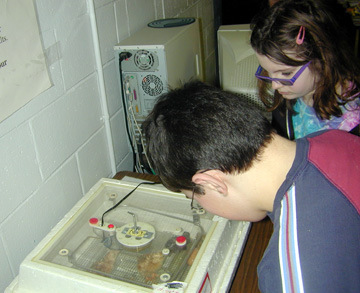 There is an activity called “21 Days to Hatch” where students can follow the development of the chicks using plastic holiday eggs and a sheet with chick development cutouts. The eggs are candled once a week to check for fertility and correct air cell development. We have filmed educational videos showing the students a “behind-the-scenes” view of what goes on before the eggs come to their rooms (the master incubator at the Science Center, the candling process). 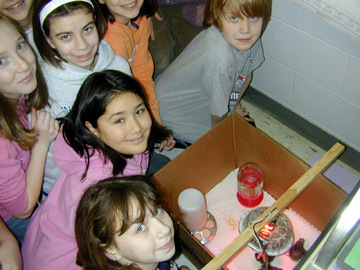 Classroom incubators are delivered to each classroom a week before the hatch and are set up with help of the Science Center. 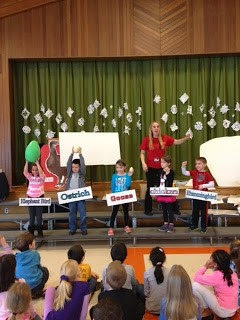 Before the eggs are delivered to the classrooms, I teach a grade level program on chickens and eggs. The program includes content on birds, eggs and life cycles. 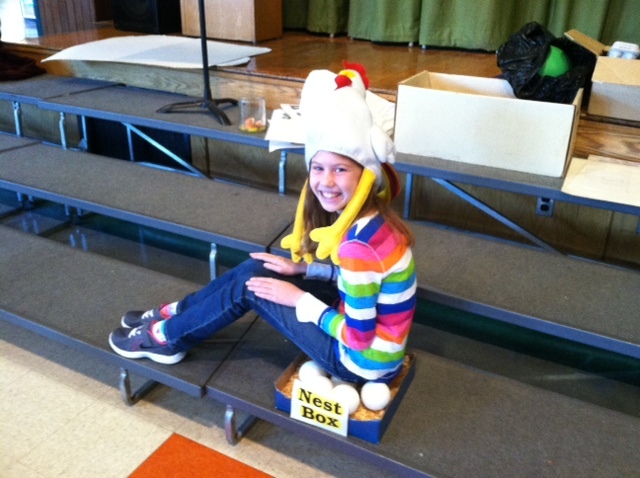 I use hands-on Science props (real eggs, model of chicken anatomy, nest box) for visual aide. 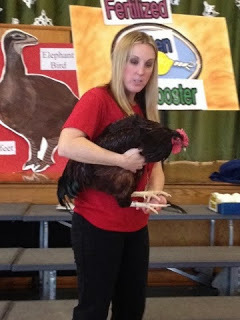 A live rooster and hen from the farm accompany the program toward the end. The program fosters surprise and excitement within the students. There is a question and answer session at the end for any questions the students or teachers may have. 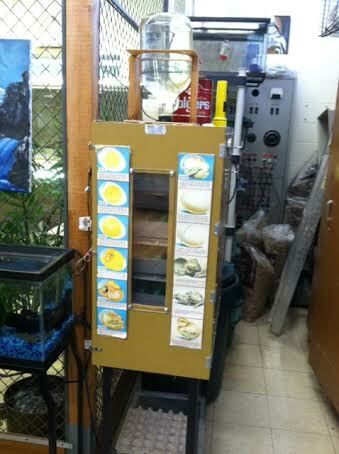 On the 18th day, the eggs are delivered to the individual classroom incubators and hatch over the next 3 days. 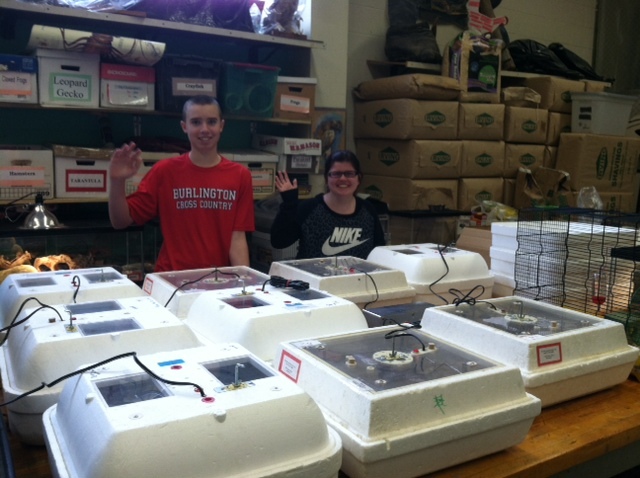 The chicks are then placed into a brooder box (living environment) and are observed in the class for 1 week. The chickens are then returned to the farmer. 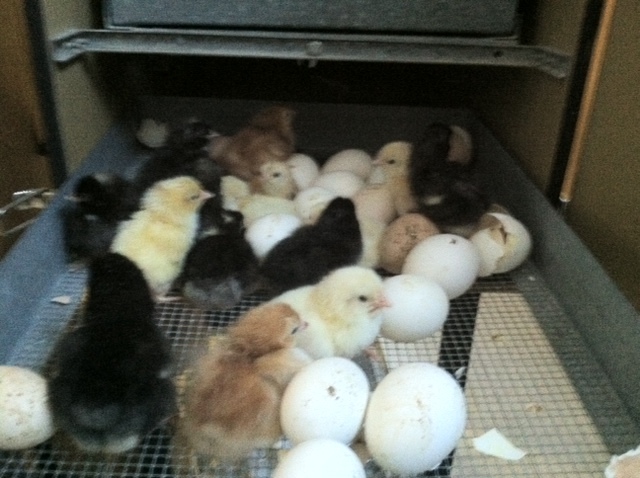 Here is a link to a video of the chicks moving aorund in their brooder box. 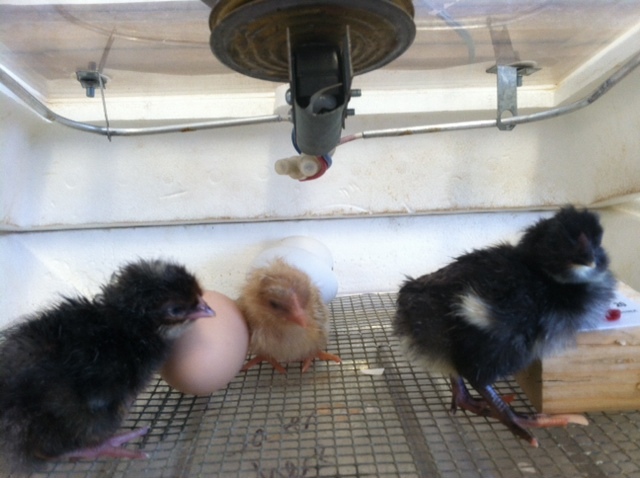 Hi, we’re interested in finding out more about your information packet about chick hatching in the classroom. We are looking at this as a possible exhibit here at the St. George Children’s Museum in Southern Utah. Thanks in advance for your help!